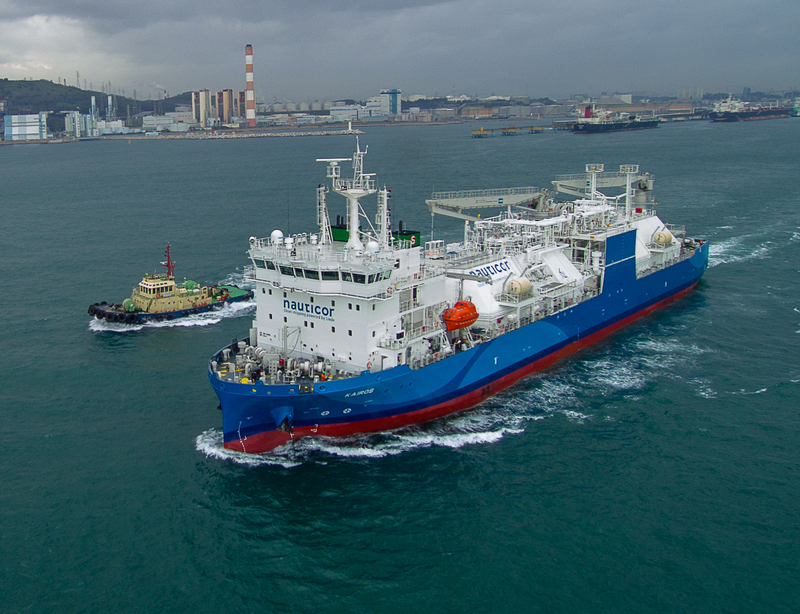 The world’s largest LNG bunker supply vessel Kairos has started its voyage from the shipyard in South Korea to the ship’s primary area of operation in Northwest Europe. The ship, with an LNG capacity of 7,500m3, will be ready for operations before the end of 2018. Mindaugas Jusius, CEO of Klaipėdos nafta (KN), which holds the remaining 10% of the joint venture, points out that the new ship will ensure an efficient LNG reloading station service in the Port of Klaipėda (Lithuania) and offer a full LNG logistics chain in the Baltic Sea Region to its customers. “The main advantage and ambition of the new vessel is to ensure more competitive pricing for the LNG reloading station users. It will not only reduce the cost of the LNG supply chain, but will also ensure the smooth and reliable service to distribution station users in Klaipėda,” noted Jusius. The construction of the vessel started in 2016 when the joint venture signed a time-charter agreement with ship owner Babcock Schulte Energy (BSE). In February 2018, steel cutting started at Hyundai Mipo Dockyard (HMD) in Ulsan, South Korea.